As you can see from the rate quote comparisons below from the three top recommended companies on TripAdvisor the cost for a full size SUV rental can vary from $52.58 per day from Alamo to almost three times as much $149.95 per day from Adobe. We’ve rented 35 cars in Costa Rica for a total of about 84 weeks and have a lot of experience shopping around. The rental costs below are quoted for our mid 2018 trip in a full size premium SUV. We always have zero deductible, full damage, theft and vandalism coverage through our credit card but the prices for optional coverage offered by the agencies are included in the comparison if you choose to do that instead (see the Damage Cost Comparison below to help with the decision). NOTE: Vamos was sold to Poás rental car back in 2016 but has maintained exceptionally good service under the new management. Credit card coverage is not recognized by Adobe and you are required to purchase Adobe insurance. If your credit card offers free coverage you should be aware that purchasing Adobe insurance voids your credit card coverage. Wild Rider is a fourth agency that is frequently recommended by “destination experts” on TripAdvisor. We have never rented from Wild Rider for a few reasons. They do not have full size SUVs, and they do not accept credit card coverage. They’re also relatively expensive charging about as much for a mid-sized economy SUV (Hyundai Tucson) as the average rate we found for a full sized Premium SUV (Toyota Land Cruiser) – $1,280 for the mid-sized rental and an additional $352 for full coverage. If you’re on a tight budget consider skipping the SUV and renting a standard car which typically costs about half as much. Most of the popular tourist destinations are on paved roads. 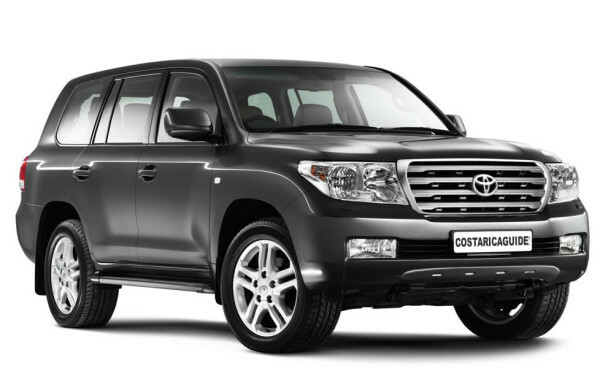 Click here to see if you need 4WD for your trip. We always rent the largest SUV available for two reasons 1) We actually frequently go way off the beaten path and 2) There are many extremely bad drivers in Costa Rica and eventually one is going to hit us. We want as much steel and and as many air bags around us as possible. One huge difference is how you choose to cover any damages to the vehicle. Our credit card provides free full coverage for damage or theft with a zero deductible up to the full value of the car. Credit card coverage is accepted by Alamo and Vamos. All of the rental agencies offer LDW policies for $18 to $25 with about $1,000 deductible. If you purchase this policy you pay the first $1,000 for any damage done to the car and the agency pays the rest. This insurance is mandatory when renting from Adobe. They do not accept credit card coverage. They all also offer an upgrade to full coverage (similar to the free credit card coverage) at a total cost of $31.85 to $44.87 per day. Obviously it’s worth shopping around and worth finding a company that accepts credit card coverage if you choose to use it. Equally obviously we rented from Alamo and spent $52.58 a day instead of $149.45 from Adobe . No damage occurs and you return the car unscratched. Someone knocks the power side mirror off the rental car and the repair costs $893. LDW Coverage – you pay $1,293 – approximately $400 for the insurance plus $893 for the repair to the mirror (remember the $1,000 deductible). LDW Coverage – you pay $1,400 – approximately $400 for the insurance plus $1,000 for the deductible. What if you damage someone else’s car? In this case the damage to their car should be covered by the liability insurance every driver is required by law to purchase. The LI or basic insurance required by law covers your liability for another driver’s car (or injury) when you are in an accident. If you think about it for a second the previous sentence should be all you ever have to know about car insurance in Costa Rica. Forget CDW, credit card policies, zero liability, and full coverage. If everyone is required by law to have insurance that pays for the damages to the other car or driver then when someone backs into your rental in the parking lot…you’re covered…by their liability insurance…right? Wrong. While you’re totally liable for damaging any other car on the road you’re also totally responsible the rental car you are driving. It’s certainly not fair and I can’t explain it but I can tell you those are the rules you have to play by if you want to rent a car. Most rental agencies in Costa Rica add a few percent of insult to injury when they post the final charges to your credit card. They typically offer poor exchange rates and all credit card transactions initiated in Costa Rica are billed in Colones. So your $1,200.00 rental gets converted to ¢668,400 and charged to your credit card which then converts it back to dollars at the official exchange rate and you see $1,273.14 on your statement. GPS – most companies offer the use of a GPS unit for between $8 and $12 a day. It’s also possible to use a GPS enabled device (phone, tablet, etc.) with free Google maps (learn more). Don’t forget about filling the gas tank (about 2x the U.S. price for fuel), secure parking ($15 per day), ferry boats ($18) and tolls (usually under $5).